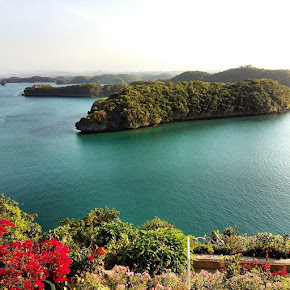 Boasting a great beach forest, numerous waterfalls and a beautiful coastline, Catanduanes is definitely the most beautiful province in Bicol Region. I’ve noticed that searching this province on Google doesn't show much information and photos about it. I guess, this is a good sign. This simply means that Catanduanes is unspoiled and non-commercialized yet. 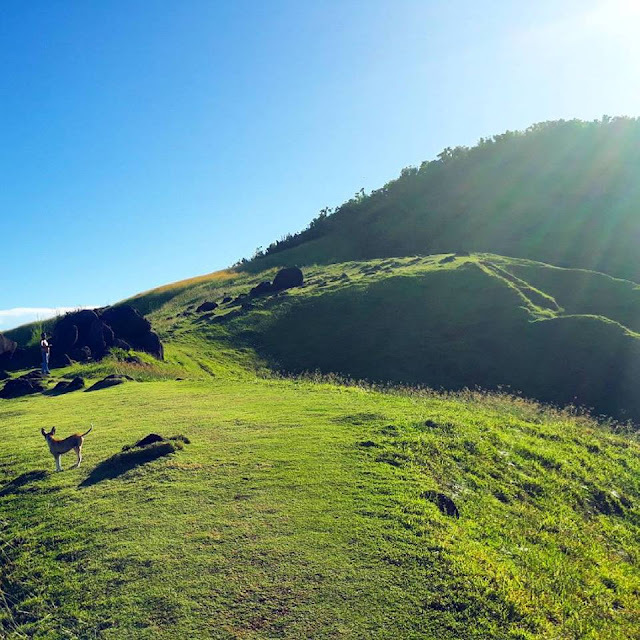 Catanduanes, an island province lies to the east of Camarines Sur, is widely known as the Happy Island. Despite being a resident of tropical storms, the province is blessed with resilient and cheerful people. I can attest to this – I have friends from the province and indeed, they’re very cheerful. Aside from being the Happy Island, Catanduanes is the leading supplier of Abaca fiber in the world. It supplies around 87% of the world’s Abaca fiber requirement. 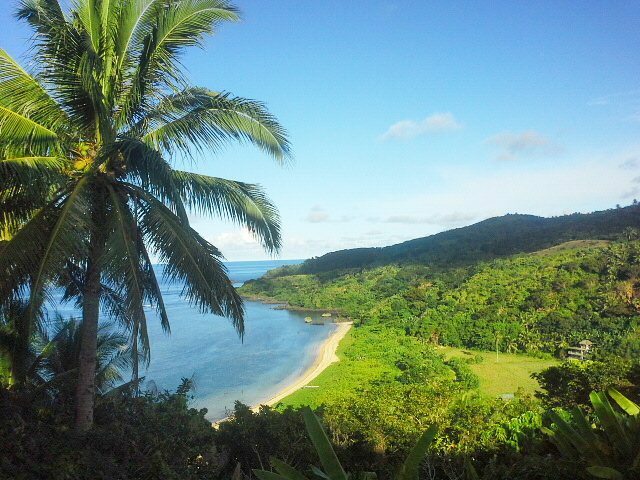 Because of this, Catanduanes earned the title as the ‘Abaca County’ in the county. 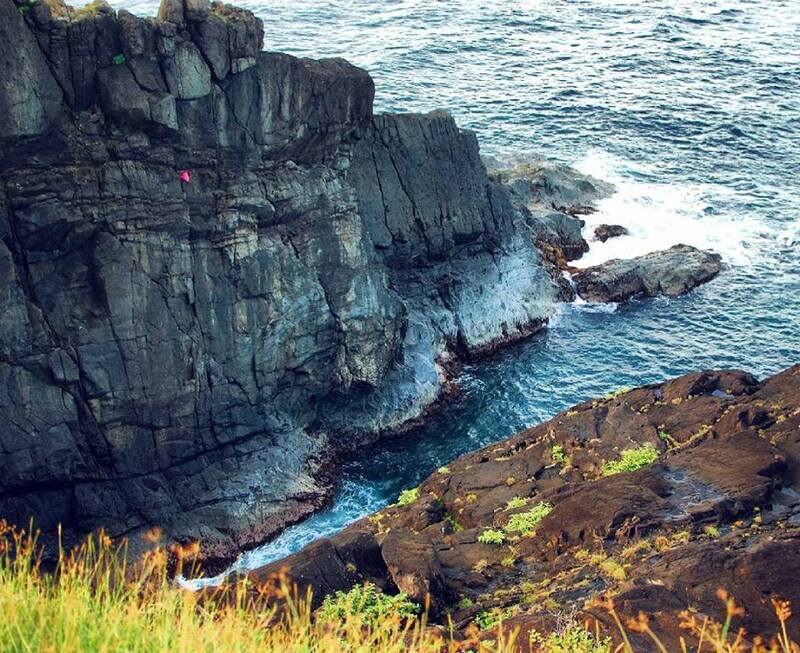 Aside from its extensive coastline, the happy island has rugged and mountainous terrain which is perfect for trekking, hiking and other related activities. Catanduanes is also known having relatively rich in different flora and fauna. 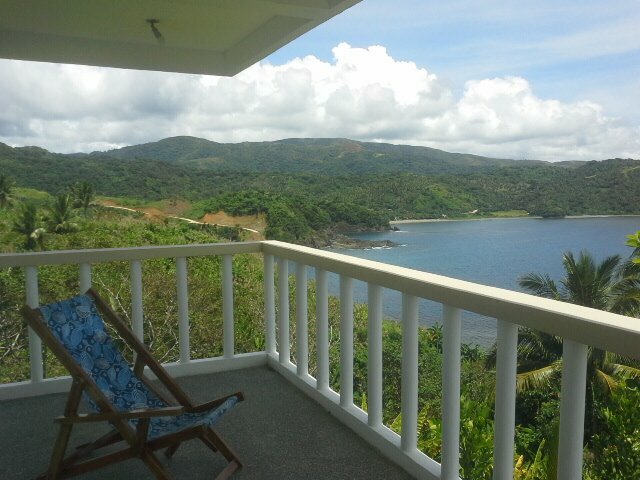 ACCOMMODATION – Staying a night or two in Catanduanes is very affordable. A budget hostel starts at Php 350 for a basic room with fan. However, budget hotels located in Virac are more expensive than those in Baras. Most hotels here are around Php 1,000 to Php 1, 300 per night. 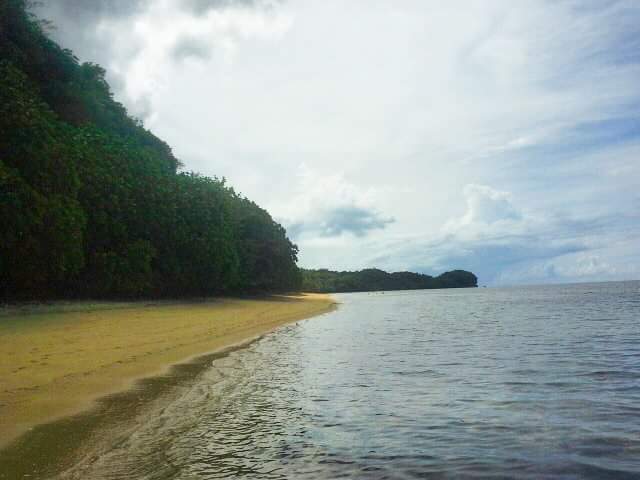 Alon Surf Stay, located in Baras, Catanduanes, is one of the few hotels nearby the famous, isolated cove Puraran Beach.The beach is known for its fine cream-colored sand and raw, unspoiled seaside rock formations. You can sit all day by the shore as it hardly gets crowded. Puraran is also blessed with swells that draws surfers from all over the world. Seasoned surfers enjoy the Pacific waves that goes six feet and over during the typhoon season. 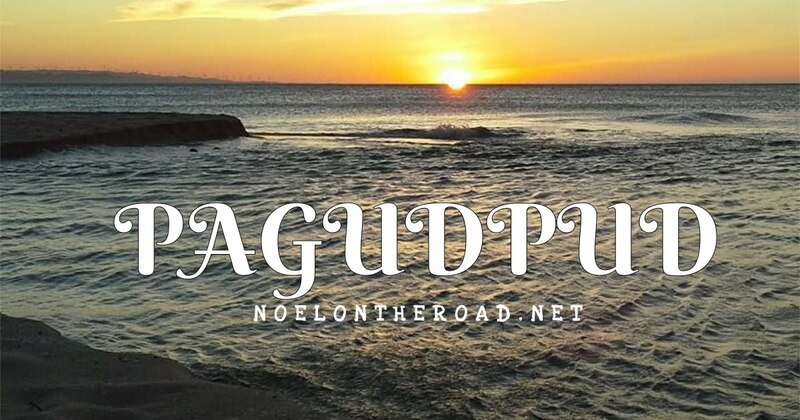 Staying at Alon Surf Stay was one of the highlights of my travel. I stayed here for three days and two nights. I will never forget enjoying a cup of coffee here while the sun is rising, overlooking the beautiful, majestic Puraran Beach. Only Alon Surf Stay offers this breathtaking view as it is the tallest building in the area. 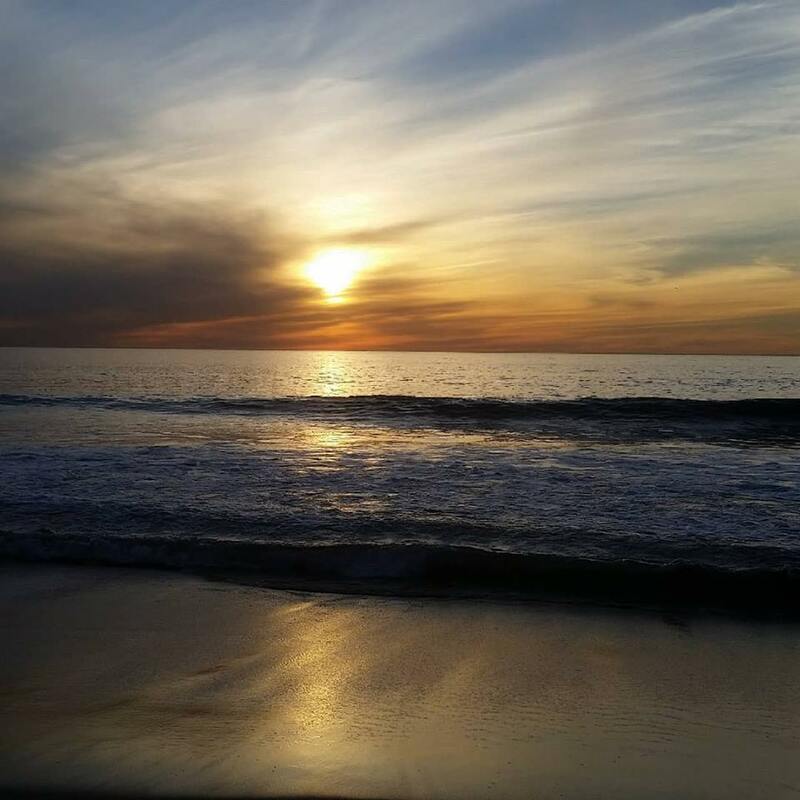 This is your view when you stay at Alon Surf Stay! The food was exceptional and the staff were incredibly attentive. Inform them the food you want to be served ahead of time and they'll cook it for you. Royal treatment, isn't it? Two thumbs up to Jhen and Carlo, the couple who manages the hotel. I have learned that they're both from Manila, making me feel more comfortable roaming around the island. We shared so many stories including our thoughts on the current national issues. They have lovely, respectful kids named Clea and Ruppa. Alon Surf Stay is very cozy, well kept and is very well run. 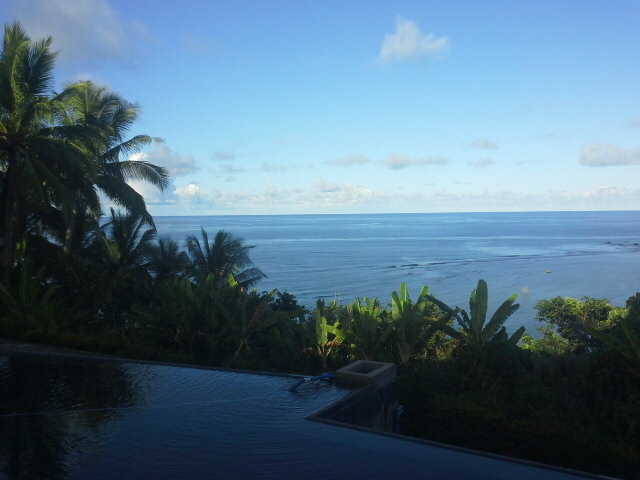 The hotel has an infinity pool, overlooking the Puraran Beach. I will surely come back here. I could not have been more pleased with my weekend getaway! FOOD -- There are plenty of low-cost eateries in Virac with street stalls selling food for less than Php 50 per meal. You can have seafood and Bicol Express at the same time! If you’re craving for chicken joy, worry no more because there’s a Jollibee branch in the area. If you're traveling to Baras and nearby towns, bringing your own food is recommended. There are grocery stores around however most of them has limited and pricey items. Bicol Express. This is Bicol's signature vegetable dish. The dish is made of taro (gabi), coconut milk, chili pepper (sili), onions, pork, garlic and shrimp paste. Please don't ask me how to cook it. I'm a terrible cook to be honest. By the way, Bicol Express goes great with fried fish or any type of seafood. TRANSPORTATION -- There are plenty of jeepneys and tricycles around Virac. Fare varies based on the distance traveled. You can hire a tricycle to roam around the area. This is what I did when I visited the famous beaches in Virac. I'll tell you more about it later. ACTIVITIES -- Chasing the waterfalls, mountain climbing, surfing, trekking, and island hopping are the most common activities in Catanduanes. There is no entrance fees being collected to most of the waterfalls. Puraran Beach is considered as one of the top surfing destinations in the Philippines. The beach is known for its fine cream-colored sand and raw, unspoiled seaside rock formations. You can sit all day by the shore as it hardly gets crowded. Puraran is also blessed with swells that draws surfers from all over the world. Seasoned surfers enjoy the Pacific waves that goes six feet and over during the typhoon season. 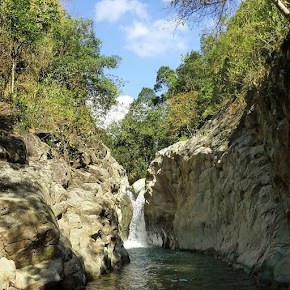 Nahulugan Falls, located in Gigmoto, is one of the most visited waterfalls in Catanduanes. It is surrounded by lush vegetation and forest. I looked up and the trees were skyscraper tall. These trees filters much of the sunlight which partly illuminate the area. This waterfalls offer a rich habitat of flora and fauna too. There is no entrance fee being collected here. 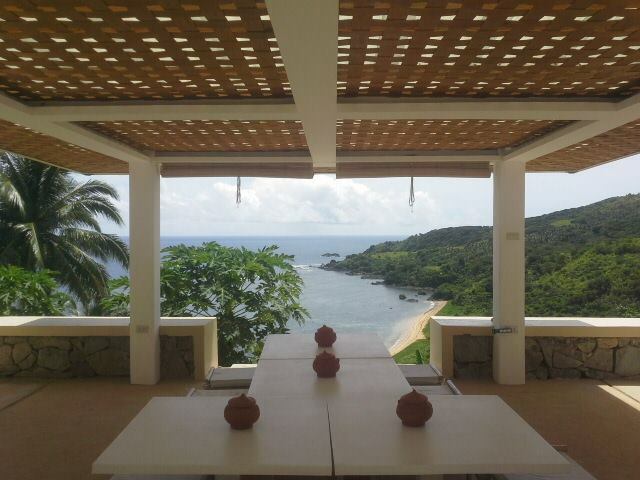 Balacay Point, located in Baras, is the newest attraction in Catanduanes. Views in Balacay Point is comparable to the rolling hills of Batanes -- this is true as I've been to Batanes two years ago. According to my tour guide, sunrise viewing is the best thing to do here. Aside from Puraran Beach, the Green Lagoon is one of the best places for beach bumming. Since this place is relatively unvisited, you have all the time to enjoy the area, savoring the fresh breeze and breathtaking views. 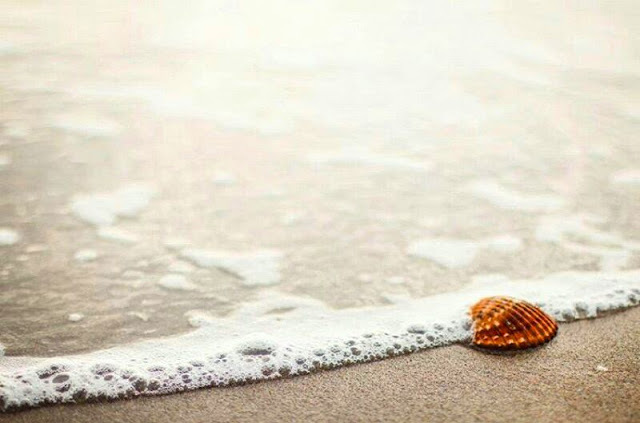 Visit Green Lagoon during low tide to see beautiful and colorful sea shells. As what I've mentioned earlier, Alon Surf Stay has the best spot for sunrise viewing as it is the tallest building near the Puraran Beach. Aside from having a morning fee here, you have the option to swim to their infinity pool, overlooking such a beautiful view of Puraran Beach. You better check in here if you wish to do these things. Walking barefoot on the beach feels amazing, right? 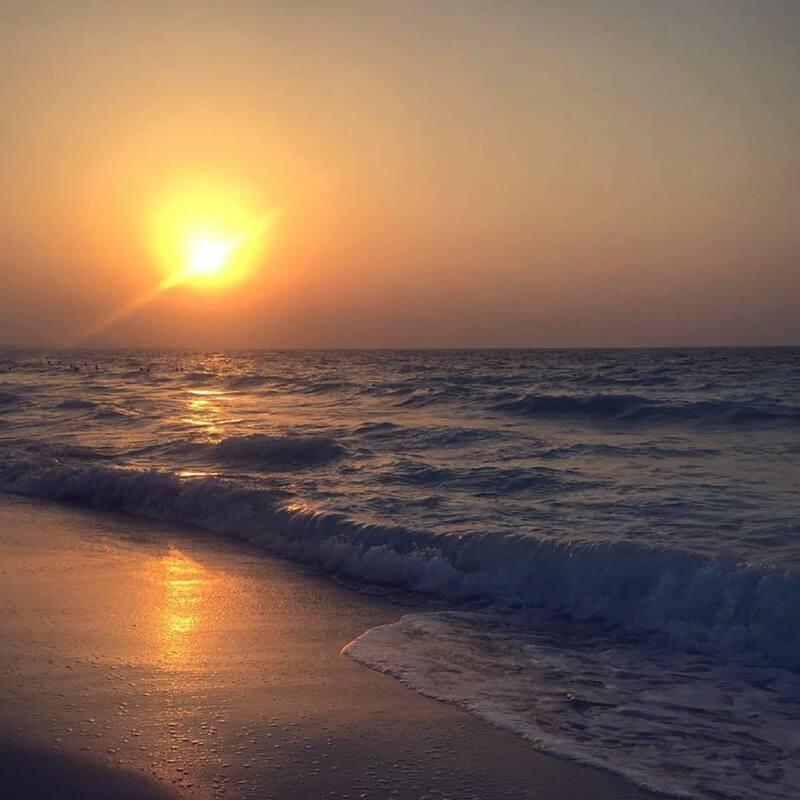 What's more amazing is that you're walking on a fine white-colored sand while enjoying such breathtaking views. The beach hardly gets crowded especially on weekends. According to locals, the Twin Rock Beach Resort is the most visited resort in Virac, Catanduanes. 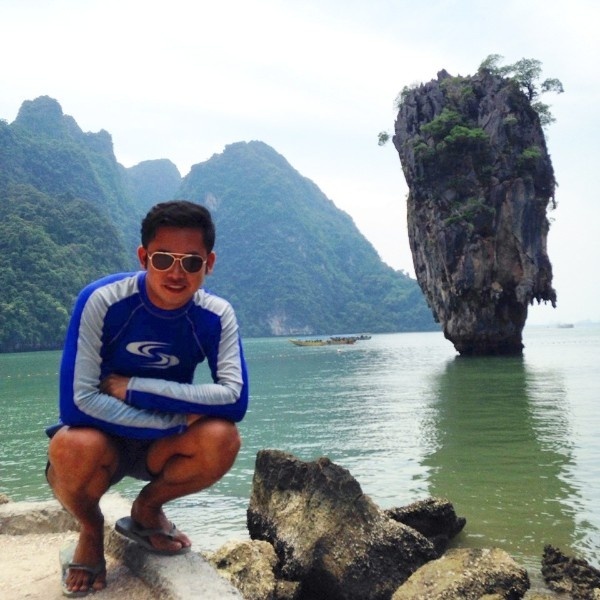 The beach resort offers a number of activities from the extreme ones like ziplining and rock climbing to the most laid back one like eating lunch on a floating restaurant. Twin Rock was coined years ago because of the two rocks that stand majestically and complementing each other. 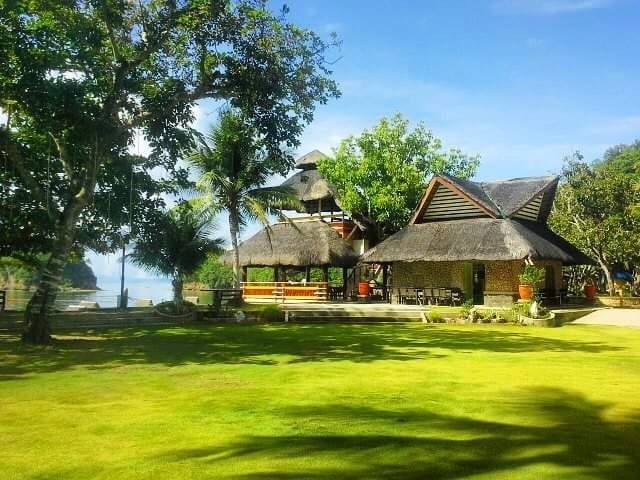 Aside from Mamangal and Twin Rock, Amenia beach resort is another option to beat the summer heat. Walking on the shore during low tide is the best thing to do here. If you're into loud music including videoke, this is the best place for you. 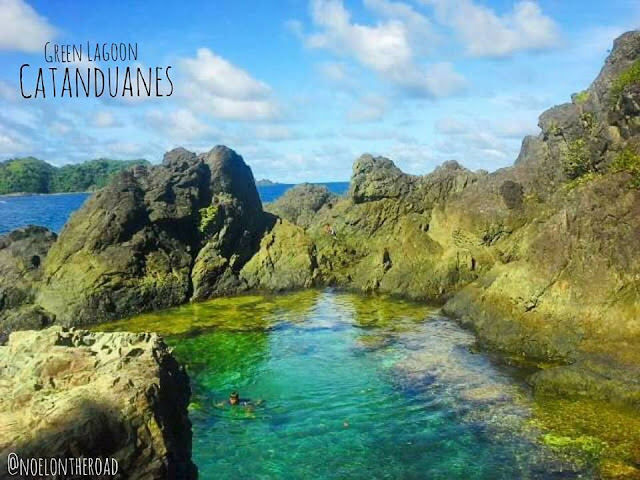 Catanduanes has a lot to offer as it is blessed with amazing beaches, pristine waters, beautiful mountains, rock formations and wonderful landscapes. Yes, there are other tourist destinations that I haven't visited yet. I will surely come back here to continue exploring this beautiful island province. I'm adding other tourist destinations here, making this journal a more comprehensive one. If you know other destinations, feel free to send me an email or tag me on your travel photos, alright? Thank you in advance! Bote Lighthouse offers breathtaking views of Sakahon Beach and other parts of the island. You can see a glimpse of Mayon Volcano from afar as well. How cool is that, right? Please, don't forget to have a selfie here then make it as your profile photo on Facebook. My tour guide recommended Maribina Falls however, due to limited time, I haven't visited this tourist destinations. 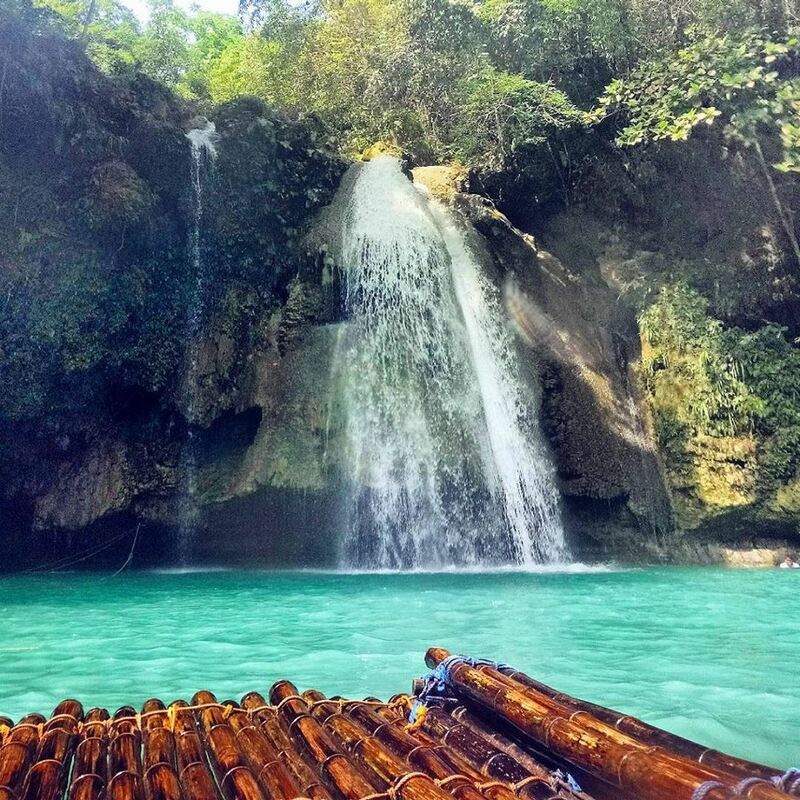 According to him, Maribina Falls is one of the most visited waterfalls in Catanduanes. Going here is a bit challenging as you have to trek for few minutes. 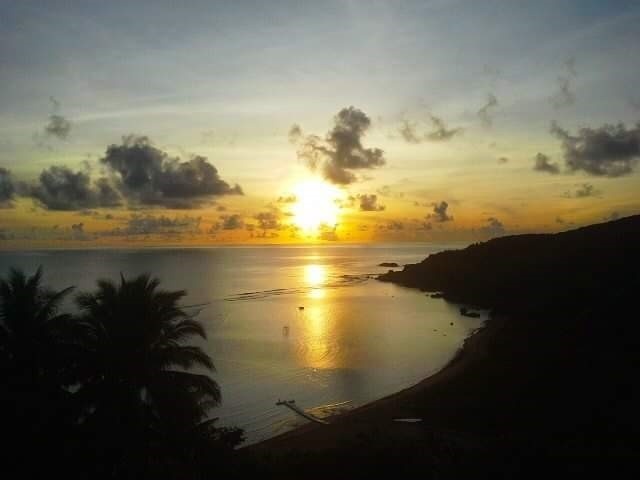 You will be rewarded with such amazing views once you reach Maribina. I'm sure of that. 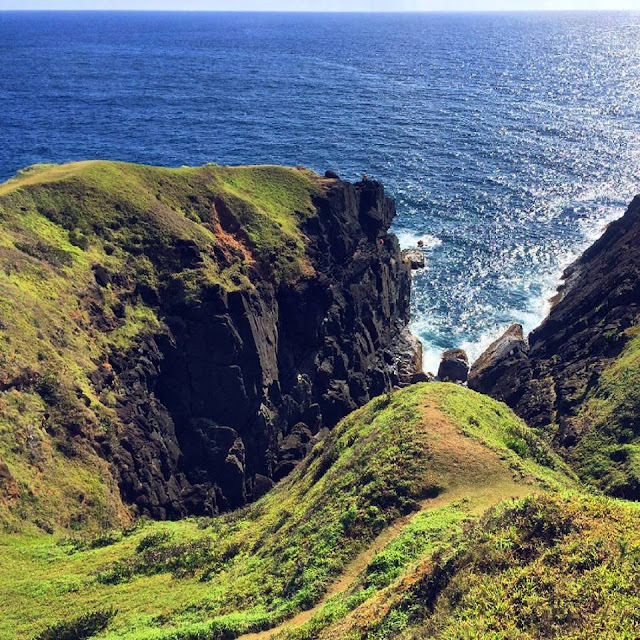 If you want to know more about Catanduanes, this is the right place to go. Museo de Catanduanes provides a good snap-shot of provincial history. You will definitely appreciate those artifacts, maps, photographs and other historical collections being displayed here. No one can beat a beach life, right? Igang Beach, located in Virac, has powdery sand, beautiful rock formations and relaxing floating cottages. This beach resort is well-maintained and is really clean. 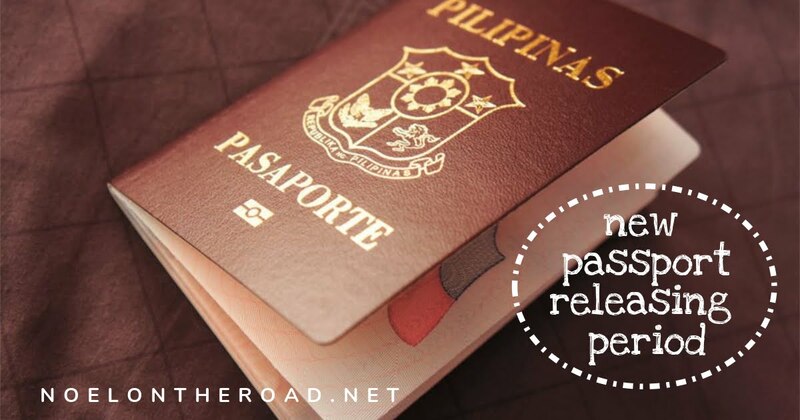 There are variety of choices to reach Catanduanes. From Araneta Center in Cubao, Quezon City, ride a bus bound to Tabaco City, Albay. There are also bus terminals located in Pasay and Alabang that are bound to Tobaco City. From Tabac wharf, ride a RORO ferry heading to Catanduanes. Please be reminded that the ferry leaves for Virac is at 6:30 AM. You can take the ferry heading to Virac in San Andres bound to Virac at 1:00 PM if in case you missed the first ferry. Cebu Pacific is the only airline that has direct flights to Virac, Catanduanes from Manila. Flights are scheduled every Mondays, Wednesdays, Fridays and Sundays. If you've been following me on social media for months now, I'm sure you're aware of my Inspiring People of Today series. 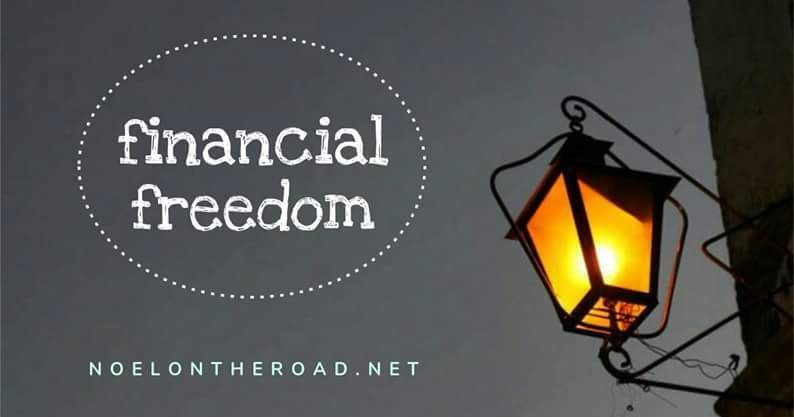 This is a collection of inspiring stories of people I've met on the road. This is also an avenue to express my gratitude to these inspiring individuals and to help them with their livelihood by promoting their services here. Few days before my flight to Catanduanes, I've been searching on the internet a list of tour guides from Baras and Virac. Unfortunately, Google showed nothing. As a solo backpacker, this is something to worry about. I don't know anyone in the province so traveling here would be very challenging. However, one of my friends on Facebook referred me to Kuya Onyong Pamplona. You know, even you met a person once, as much as possible, get in touch with them. They might be very helpful on your next adventure. Before my flight to Virac, I sent Kuya Onyong a text message informing him my flight details. He was not replying at all. That made me think of another option. I put these worries behind so I can make the most of my travel.After all, I'm on vacation to de-stress. After settling my bills at Alon Surf Stay, I decided to go out to take my lunch. I was also hoping to meet a tricycle driver who can take me to places I wanted to visit. While on my way, I sent another text message to Kuya Onyong and finally, he replied! Yahoo! After discussing things, we came up with a better itinerary including travel rates. 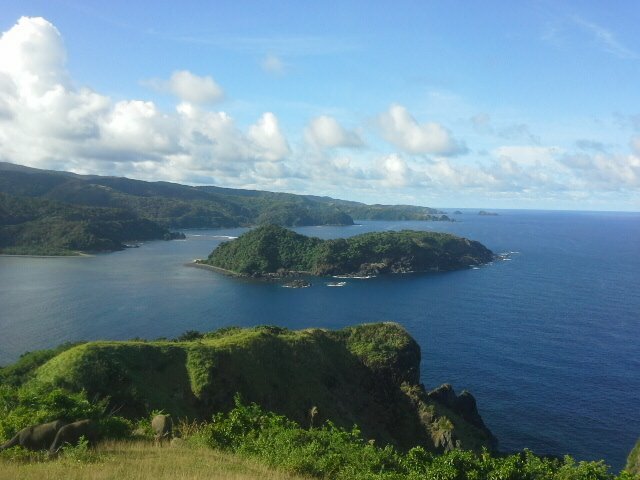 Hopping in to his motorcycle (habal-habal) for three days, allowed me to appreciate Catanduanes even more! The province has a lot to offer -- from undulating hills and valleys, beautiful mountains and waterfalls, creamery, white sand beaches to vast agricultural lands and cheerful people. Catanduanes is dubbed as the 'Land of the Howling Winds' due to frequent tropical storms entering the province. For me, it is the most beautiful province in Bicol Region.Thanks to Kuya Onyong for taking me to places that aren't on my list. I will surely come back here. Kuya Onyong is a family man. On a regular day, he works as a tricycle driver. When Puraran Beach produces ceaseless waves, especially during storm season, he works as a surf instructor. He's one of the most punctual tour guides I've ever met. 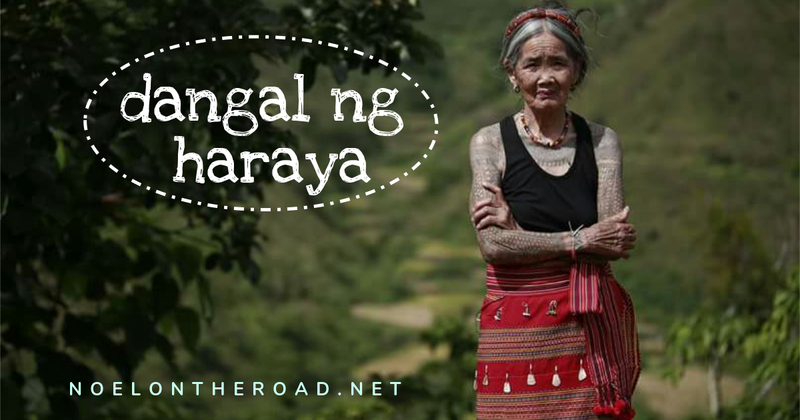 There are no registered tour guides in Baras yet, so the locals are the best contact persons for tours, accommodation and other travel-related concerns, right? You may contact Kuya Onyong Pamplona through his mobile, 0916 465 3676. He's a good photographer too! My travel itinerary is designed for 3 days and 2 nights only. If you're staying longer in Catanduanes, you can customize it then try other places. 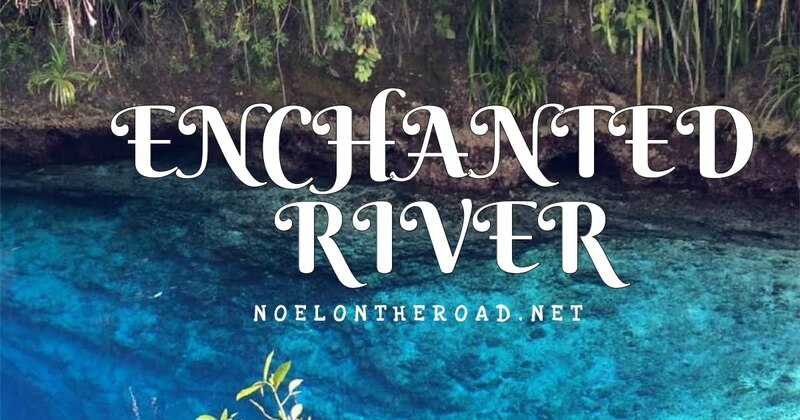 You can include Carorian island hopping, Bote Lighthouse, Maribina Falls and Mangrove Park on your itinerary.Click the link below for my 3-day itinerary. As what I've mentioned earlier, traveling to Catanduanes is very affordable. 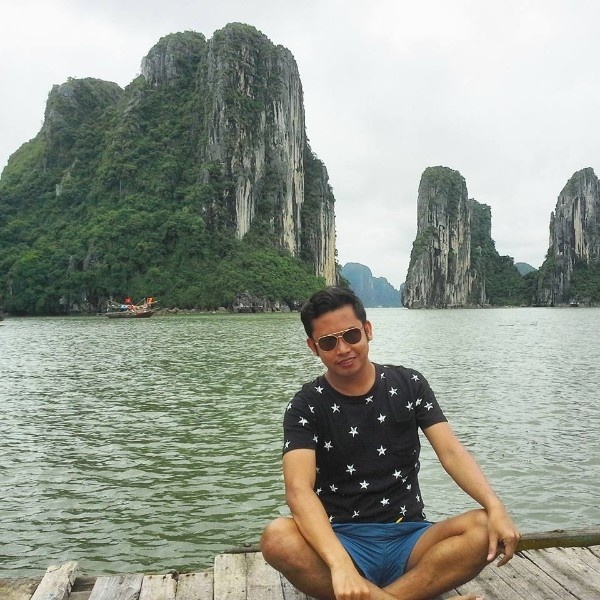 On my case, I spent almost Php 8, 000 for three days and two nights. This is my usual expenses when traveling solo. Travel with your friends as much as possible so you have someone to share the expenses. 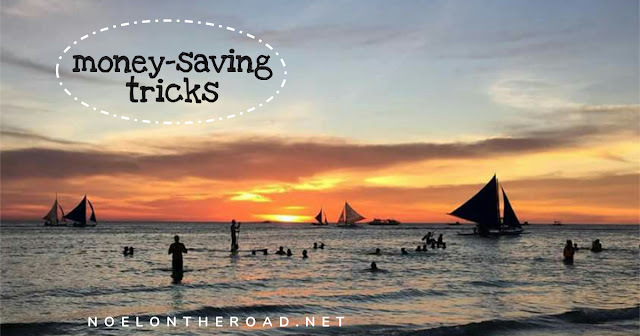 You can save a lot when traveling with a large group.